KIEV, Ukraine -- Head of the Department of Foreign Affairs of Switzerland Didier Burkhalter talked about the visa-free regime in a meeting with President Petro Poroshenko, in Kiev. Switzerland will introduce visa-free regime for Ukrainian citizens on June 11. “The Head of the Department of Foreign Affairs confirmed that his country will introduce visa-free regime for Ukrainian citizens on June 11,” reads the report. President Poroshenko, in turn, informed on the impact of the ongoing aggression of Russia in Donbass targeted mainly against residential areas and civilian areas objects. 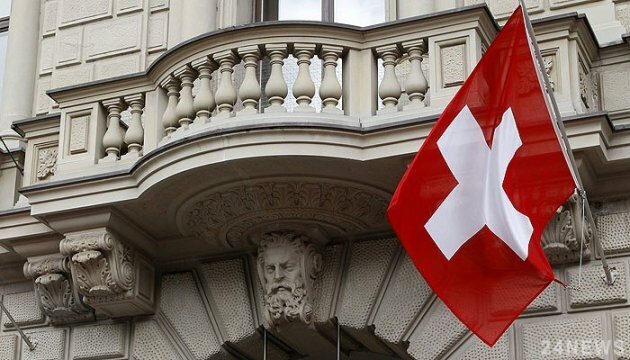 “The Head of State noted the efforts of Switzerland aimed to settle the situation in Donbass, particularly its significant contribution to the OSCE SMM activities. He thanked Didier Burkhalter for visiting Mariupol in the course of which another humanitarian cargo of medicines and water-filtering reagents was delivered,” reads the report.